A popular and versatile herb, tarragon has an intense flavor that’s a unique mix of sweet aniseed and a mild vanilla. It’s a key herb in French cuisine and is delicious with when paired with eggs, cheese, mushrooms, vegetables, and poultry. 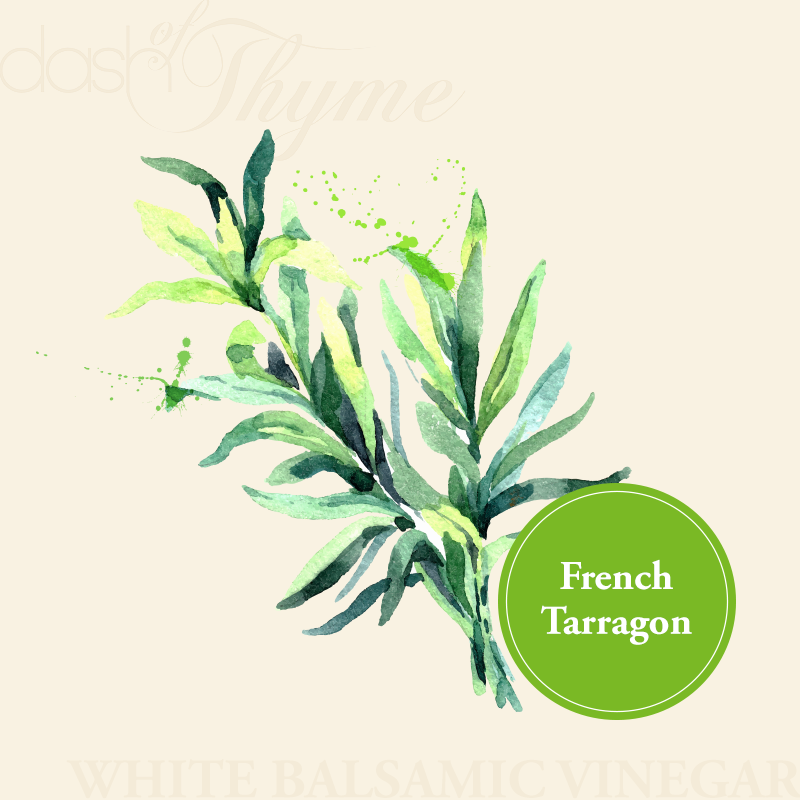 We’ve married the complex bright flavor of herbaceous natural tarragon with crisp, tart white balsamic for a refreshing burst of flavor. Use in dressings and marinades or with fish. Dress fresh julienne carrots with French Tarragon White Balsamic, Dijon mustard, and a fruity olive oil such as Hojiblanca. Drizzle over sliced mushrooms with sautéed shallots, or use in Béarnaise sauce. Pairs wonderfully with our Blood Orange Fused Olive Oil, Garlic Infused Olive Oil, Wild Mushroom & Sage Infused Olive Oil, Eureka Lemon Fused Olive Oil, and Cilantro & Roasted Onion Infused Olive Oil or a fruity complex extra virgin olive oil.